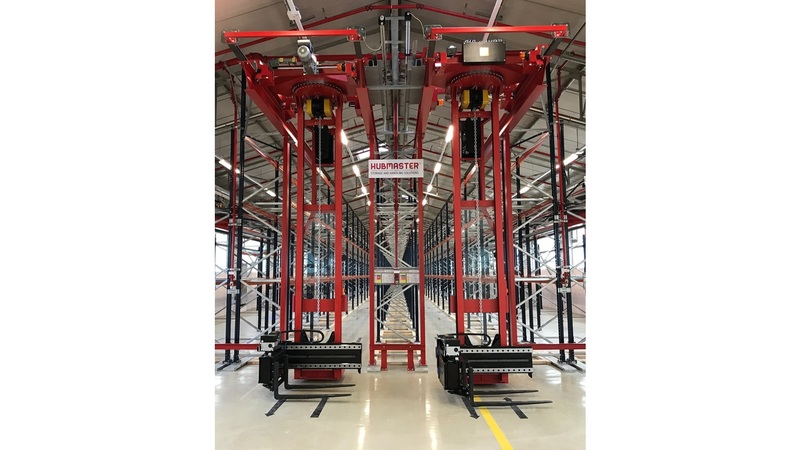 The HUBMASTER is an integrated lifting and handling device which makes the storage and retrieval of items safer and easier for all workers, achieving both maximum storage density and stock accessibility within a tight footprint and ensures an efficient and productive operation of your warehouse. The HUBMASTER addresses common concerns across the industry when it comes to safety and accident reduction of the material handling devices and presents a very good alternative whilst working in narrow aisle environments, where accidents are more common. The built in HUBMASTER active safety devices will protect you and your assets and will ensure a good return for your investment. The HUBMASTER system can make a dramatic difference to your operations with the loading and unloading of pallets made safer, easier and in a more efficient way than before and with minimal training of your operators. It is also a very good alternative in those locations were forklifts or other vehicles are not allowed in. Possibility to reduce the required aisles widths to just 1.35 m when operating euro-pallets. It can be configured to run on pretty much any type of racking or support structure. Active safety zoning and motion controls to prevent collisions with the racks. No tipping, overturning or de-railing thanks to its construction features. Ergonomic design and easy to use by any operator. Lifts up to 2.2 t and a max. reach height of 9 m in its standard configuration. Custom applications for higher reach and loads are possible.